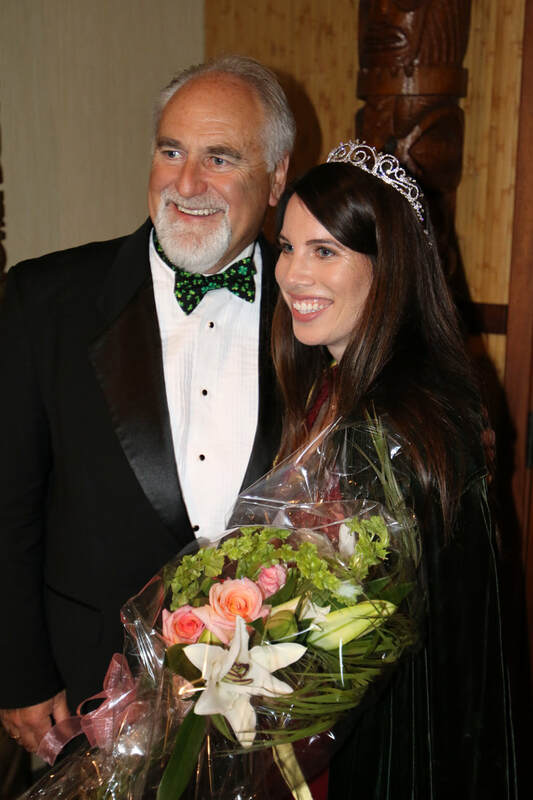 The San Diego Miss Colleen Pageant was originated in order to promote a sense of spirit and unity within the Irish community and awareness of its history and culture. Since its inception in 1983, the Miss Colleen Pageant has served as a platform for growth and inspiration among young Irish women as well as an opportunity to unite the Irish community. Participants submit a brief essay and are interviewed on stage about their backgrounds, interests and career aspirations. Miss Colleen 2019 will have the honor of representing San Diego in the annual Maiden of the Mournes Pageant in Ireland in August. The participants represent nations from all over the world, ranging from the United States to Russia, Australia, and Spain. It is a tremendous experience. “The Miss Colleen Pageant is a testament to the rich, ethnic diversity of our society and gives a glimpse into the many different cultures around us,” says Delphine Malone, the 2009 Miss Colleen Pageant & Dinner Honorary Chair.“This pageant encourages young Irish women to reach for new heights and to work hard to make their dreams a reality. If you or someone you know might be interested in participating in the Miss Colleen Pageant, please download our 2019 application. The Maiden of the Mournes Pageant is a personality competition for young ladies between the ages of 18 and 25 from any nationality. It takes place in Warrenpoint, Ireland, The Irish Congress provides round-trip transportation and while there, all meals and accommodations will be provided for the week at no charge. The participants take part in a variety of Public Relations activities which may include visiting local shops, shopping centers and the local Council Offices. They may also visit the City Hall in Belfast where they will meet the Lord Mayor and possibly be interviewed on TV. They will be taken on a tour of the Mourne Mountains and visit a typical cottage dating back to the last century where they will sample Irish food and music and join in the entertainment. Each participant will be interviewed by a panel of independent judges. The winning maiden will receive a check for £500 on the final night and another check for £500 when she returns the following year to hand over her crown. She will also be expected to carry out Public Relations duties during her reign. This may be in Ireland or her own country. Maidens chosen to represent their area should be outgoing, easy to get along with and comfortable with performing in public. The San Diego Miss Colleen receives an automatic entry into the Maiden of the Mournes Pageant.